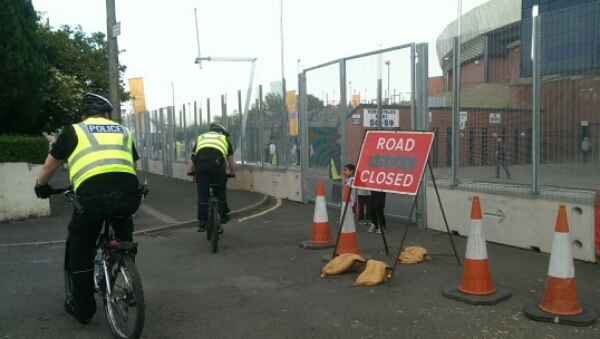 Street closures, some apparently unannounced, Hampden Park Stadium ring fenced in concrete blocks and high security fencing, 100s of cctv cameras installed, 100s of security personnel, heavy police presence, police helicopter buzzing about overhead, for what? A few 100 folk watching an athletics event! The security in place for the forthcoming games appears to me to be complete overkill, a money making exercise for a security industry that feeds off fear and reinforces the illusion we are constantly under threat of a major incident. How about we save a few £1000s, cut back on the excessive security and feed the people of this city and country who have to rely on food banks, after all ‘People make Glasgow’ not fences.